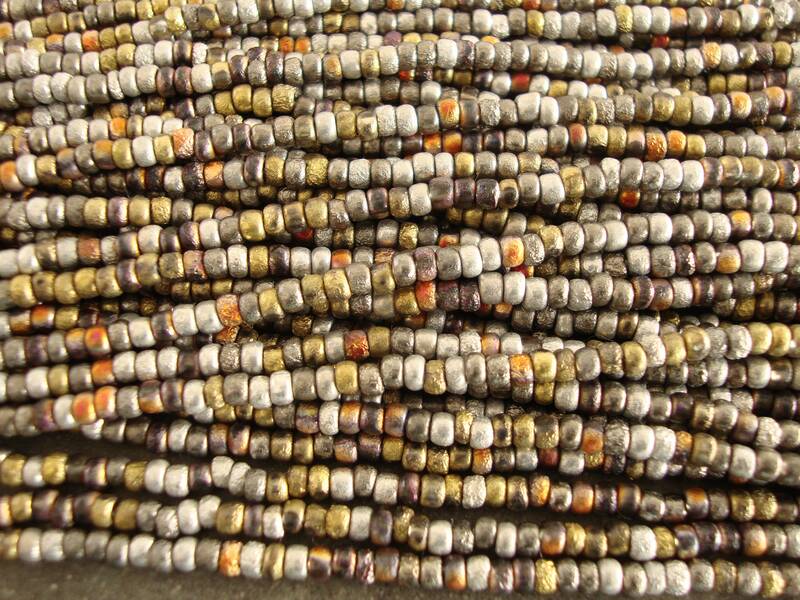 Gorgeous metallic etched seed beads in shades of silver, gold, copper and bronze. 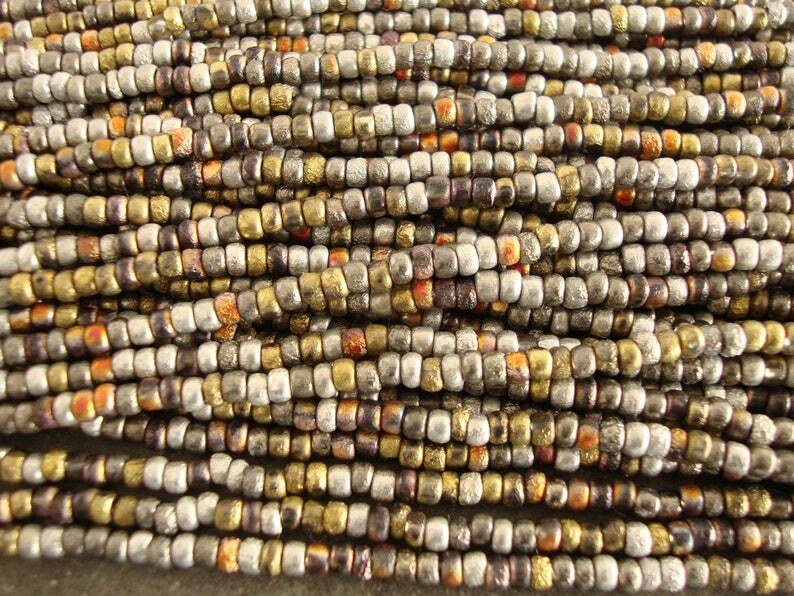 Very unusual beads, great for the rustic look. Fast shipping, thanks! 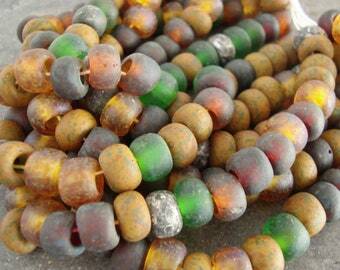 Very pretty beads, I'll be back!